Microchips as tasty as…potato chips? You may have heard of graphene. It’s pure carbon arranged in a one atom thick honeycomb pattern. In this form, carbon becomes stronger than steel, and makes better wires than copper. While potentially useful everywhere, this wonder material is expensive and hard to make. But what if making graphene could be as simple as printing on paper? Meet James Tour and his team from Rice University. His lab developed a technique called laser induced graphene. They use LASERS to burn graphene onto any surface of carbon. You’d be surprised how many ordinary and everyday objects are filled with carbon. The team showed this by drawing pictures using graphene on coal, paper, coconuts and potatoes! Why is this useful? 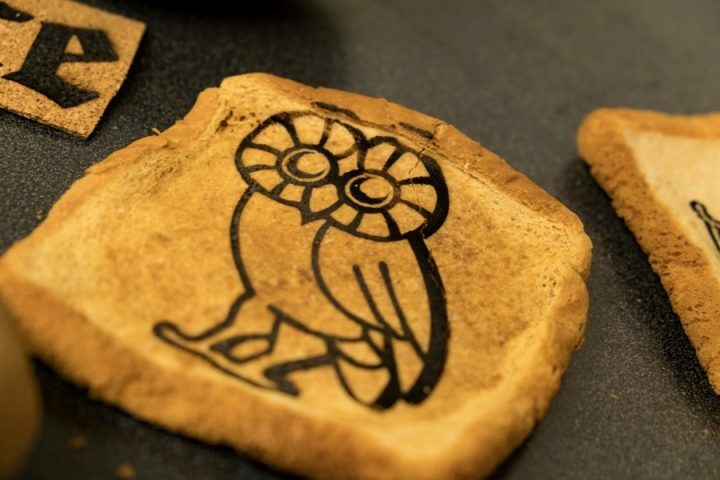 The technique could be used to print edible microchips directly onto FOOD! These microchips could be sensors that constantly monitor food for E. coli and other bugs. Others could be used to track changes in our health they pass through our systems. Does that mean these digital potato chips are technically GOOD for you? I’ll take barbeque. With sour cream sriracha!